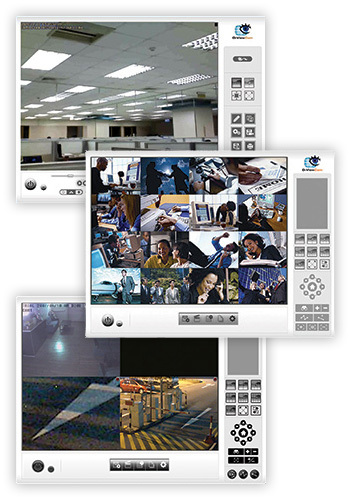 The free D-ViewCam™ Video Management Software (VMS) allows you to view, record and manage up to 32 network cameras. Bundled free with D-Link network cameras, D-ViewCam™ enables users to centrally manage multiple cameras for home or businesses. Supporting up to 32 network cameras and up to 64 users, D-ViewCam™ is compatible with all current D-Link network cameras and video servers, offers digital monitoring and recording with a wide array of features including simultaneous video recording, playback and live view. 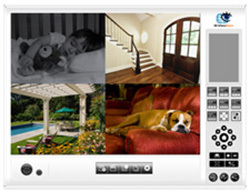 D-ViewCam™ offers scheduled, motion and manual recording. Recorded files can be searched by video type and selected files can be played, edited and converted into AVI or ASF files. 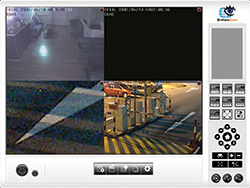 The e-map mode allows users to arrange a map with camera locations and orientation, while additional features such as auto-patrol, rotate, zoom, and focus provide optimal control over video surveillance. There's support too for motion detection and event triggers through added devices such as smoke detectors, magnetic door sensors and emergency buttons. Users can also combine actions, such as triggering I/O devices and sending email notifications when events occur. Backup tools are built-in plus a DB-Tool utility to help users reconstruct, repair or relocate the database on local, external or network storage. Backup videos and logs can also be burned to CD. 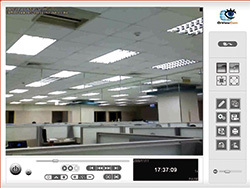 D-ViewCam™ centrally manages multiple network cameras for any businesses. 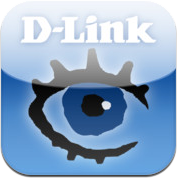 Keep an eye on your surveillance cameras anytime, anywhere with D-Link's D-ViewCam™ Mobile app. The D-ViewCam™ Mobile app makes it easy to check on your home or business no matter where you are, no matter what time of day it is.